Chinese internet giant Tencent has announced its first restructuring in six years, done at a time it faces increased challenges from tighter government regulations. The reshuffle comes as Tencent, which has seen a hefty fall in market value this year, is facing fresh criticism from analysts and investors unnerved by regulatory roadblocks, a fuzzy overseas strategy and growing debt. The Shenzhen-based and Hong Kong-listed company said in Sunday's statement that it will consolidate three content business groups to one unit and create a new group for cloud and smart industries. The move is seen at improving cloud-based data offering services for corporate clients, which rival Alibaba Group dominates in China, and boosting its content offering capabilities for a wide range of services such as WeChat, music, games and other entertainments. Tencent will "further explore the integration of social, content and technology that is more suitable for future trends, and promote the upgrade from consumer internet to industrial internet", it added. The company said it will also set up a technology committee to help strengthen its research and development and promote collaboration and innovation. 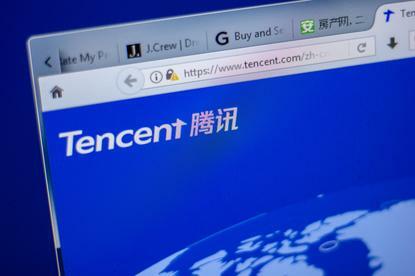 Founded in 1998, Tencent enjoyed uninterrupted growth from when it went public in 2004 until this year. Its shares surged more than 88 times after its IPO, and its market value hit a peak of US$578 billion in January this year. On Friday, Tencent shares in Hong Kong closed at HK$323.20, compared with HK$406 at the end of 2017. The company's biggest money-maker is gaming. However, its most popular game this year is PlayerUnknown's Battlegrounds Mobile (PUBG Mobile), and Chinese authorities have yet to approve the in-game purchases that allow Tencent to make money. Hit by China's intensified crackdown on online gaming, Tencent has reported its first quarterly profit fall in nearly 13 years. The main business of Tencent is video games but the company also runs China's dominant social network, WeChat, with more than one billion users.